Store shoes in a deep dresser drawer. You may have enough closet space to hang majority of your clothes and a dresser really isn’t needed for things other than socks, undies and pjs. Well, if you are one of those fortunate folks, use empty dresser drawers for shoes. 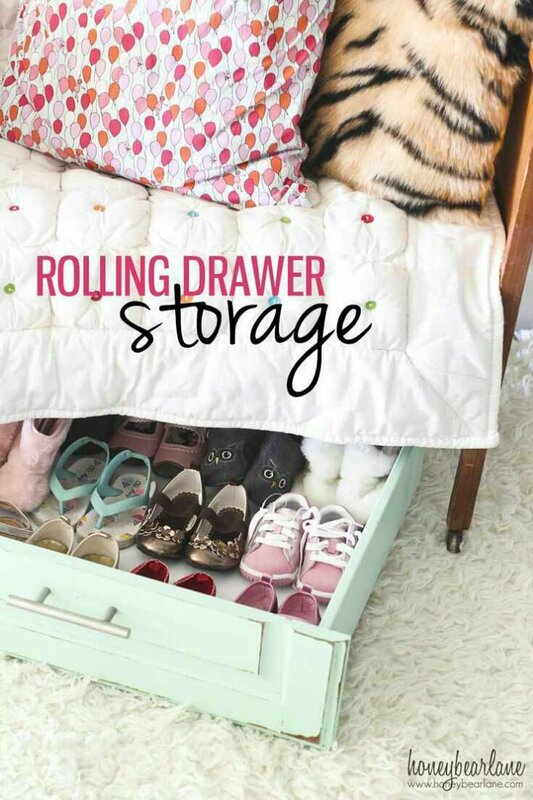 How easy to simply roll open a drawer and select which ever heels you want. No need to reach for a step stool to pull down what you want when you can have them within easy grasp. Thanks for this idea!!!! I’ll be using the underbed drawer with casters on it!! Very interesting. I would never think of storing pumps here. By the way, I just discovered your blog and I love it. You have a such sense of style and a great taste. All your posts and images are fabulous! Bravo!